You’ve probably visited a ton of other mommy blogs or lifestyle blogs and thought, why not? And you’re right – why not? You can totally start a blog, have fun and earn an income too! I’m proof it works. 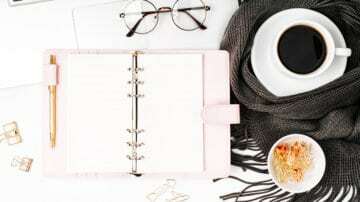 Blogging is a great way to connect with others similar to you and give you the opportunity to earn some cash on the side. But you know what ends up happening to many of these newbie bloggers? They start a blog and blog about anything that comes to their mind. I mean, who wouldn’t? It is YOUR personal blog right? You can write about whatever you want. Maybe you have one post about your favorite Mexican Enchilada recipe passed down from your grandma. Another post is how to be sane when your toddler tantrums. Maybe you have a post on how you style your office. 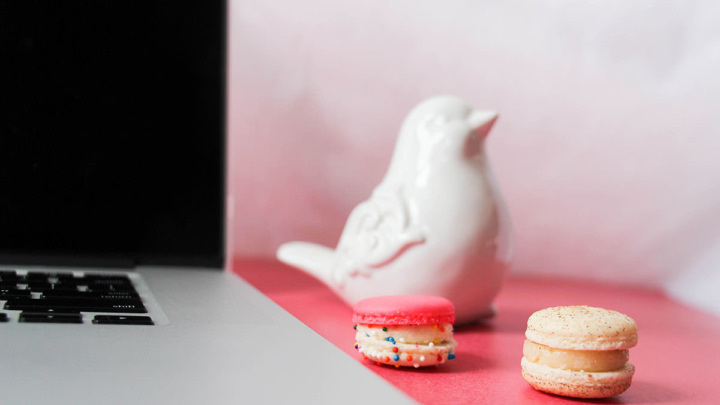 Your blog caters to everyone, but is this the right thing to do? But, wait? Do you have a blog? Can I tell you a little secret? The best blogs out there are the blogs that talk about one central theme, one topic, or one niche. These are the blogs that have the best information within their niche. And they have the audience and engagement to prove it. 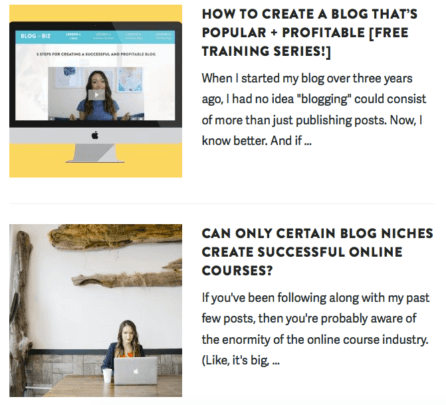 So, should you have a niche as a new blogger? Hell ya! Having a niche is crucial to your blog’s success. But, what’s so great about having a niche? Let’s look at four reasons. People fall in love with your blog faster if you have a niche than if not. When they find your post on Pinterest, click over to read it and if they love the post, they’ll start looking through your site for more posts like that. What if they don’t find any similar content on your site? They see a post about exercise next to a post about top tech tools for kids. And what does this person do? BOUNCE! But, what if they finish reading that epic post, look through your blog, and see even better posts? They stay longer and most likely will sign up to you list. Having a niche means you have an engaged and excited audience than if you wrote about everything under the moon. You know how you went to school for four or six years to become an expert? Well in the blogging world, you can become an expert in way less time. Start a blog, write about one theme and provide your best tips. If people learn from your posts and you help people with your tips, you will become an expert. This is a great thing to have if you want to eventually monetize your blog. Let’s look at Pat Flynn of Smart Passive Income. He didn’t start out writing about passive income. He was just writing about what he was doing online and as a result, he’s the go-to fella to learn about passive income. You know one of the things I learned from launching my first course for freelance writers, was that in order for someone to feel comfortable to buy, they need to trust the person they are giving their money to. And an easy way to build trust is to provide high-value content in your niche. This shows your expertise, credibility and it helps convince future buyers to trust what you have to say. 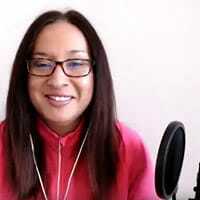 Melyssa Griffin was able to grow her blog and launch several successful courses because she was able to attract the right audience with her focused content. Do you find it hard to come up with your next blog post idea? For a lot of us, pumping out post, after post, after post can be a challenge. But, not so much when you have a niche. Your niche can provide you with a ton of blog post ideas. So, how do you find blog post ideas in your niche? Here are two quick ways. You can find a ton of ideas about frugal living from saving money to DIY products. Just plug in any niche topic and see what Pins show up. 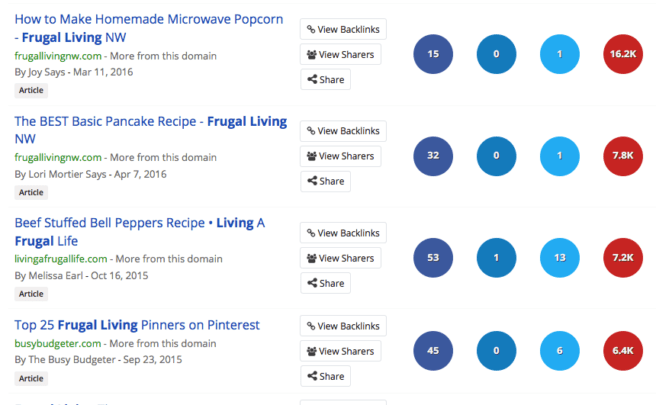 BuzzSumo is a site that tracks what’s trending on social media. Simply put in your keyword and see if it’s a popular topic. It looks like how to make your own popcorn is a popular topic and something you can incorporate in your content schedule. Once you have a niche it’s super easy to come up with several blog post ideas. But, what about my Twins Mommy blog? Is this blog a niche blog? I do have several topics I write about: productivity tips, mompreneur tips, working from home, blogging tips and life with my twins. Why am I writing about finding your niche when it looks like my blog doesn’t really have one? But it actually does and here’s how. 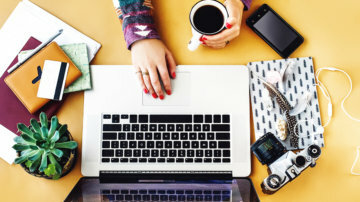 There are generally two types of niche blogs – those that focus on one topic only, like blogging tips, and ones that focus on a group of similar topics, like working from home. 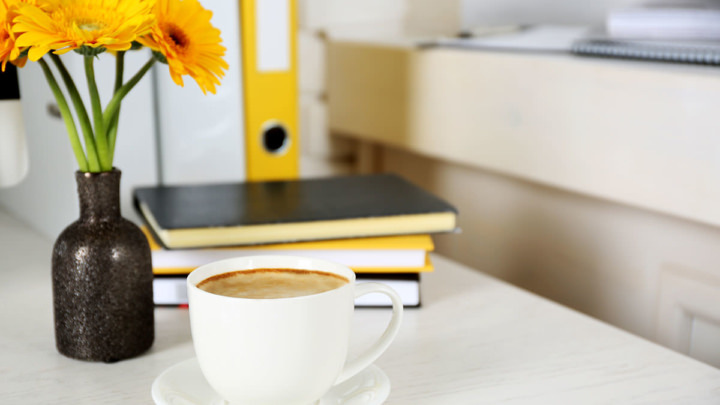 My Elna Cain site focuses on only one topic: freelance writing tips for new writers. Twins Mommy, on the other hand, focuses on a group of similar topics helping moms become mompreneurs. This audience can benefit from my blogging tips or my productivity tips because the central theme is working moms. But one thing to remember is that if you cater to a certain demographic, it doesn’t mean you have to write about everything that demographic likes. For example, if your readers are young entrepreneurs, there’s no need to have posts on styling your outfit or home. Those just seem out of place. Okay, now that you’ve decided to find a niche, how the heck do you actually find one? Hitting the bullseye with your niche doesn’t have to be hard. It might take some time though. When I first started my freelance writing site, I had no idea what to blog about. I wasn’t too sure on the niche I wanted to get paid to write in either, so for my blog, I ended up just blogging about freelance writing. It was a new subject for me, and I used my blog to help me learn about freelance writing in general. It was almost two years later that I started another personal blog (this one). And even this blog is somewhat similar to my freelance writing blog since at the end of the day, I blog about making an income online, right? If you’re having trouble coming up with your perfect niche to rock your blog, here are the three questions to ask yourself. What is the one thing you’re totally passionate about in your life right now? It might be natural health or email marketing or fitness. Since your blog is something you have to keep up with for many months and possibly years, you’re going to want to ensure you wake up each morning excited about your blog. Because who hates waking up to a job you hate? And having that strong motivation – the why behind your blog – will protect you for what comes down the road. In all honesty, most blogs fail. Bloggers have good intentions, but if they don’t see their hard work pay off, what’s the point in keeping going, right? Well, if you have a niche you’re passionate about, having that desire and exuberance can create a buffer for you when times get rough! So, pick a niche you LOVE writing about or thinking about or reading about. 2. Is There a Need For My Niche? Okay, let’s get real here. If you want people to come to your blog, read your posts, comment and share, there has to be a genuine need for your blog. For example, if your niche is crocheting, is there a market for that? Maybe (I don’t know), but if you want to succeed, you need to find a niche that people want to know more about. Find Facebook groups where your audience hangs out. If you know your audience are mostly mommy bloggers you can search in mommy type groups. All Facebook groups have a place to search the threads. Type in your niche or general keyword associated with your niche and see if people need help. 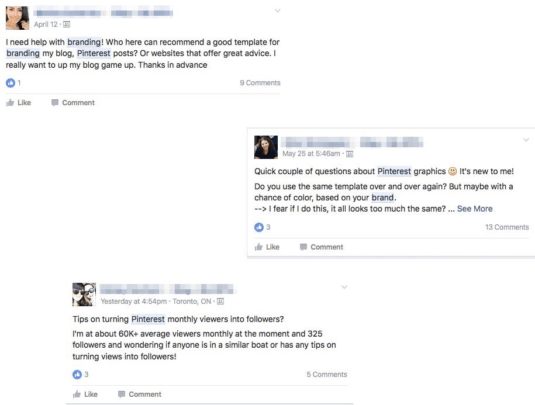 For example, if your niche is branding and social media, you can search in groups for people asking questions about Pinterest and branding. From here you can find what people are struggling with. In this example, people need help branding their Pinterest profile, grahics and generating more followers. These topics can be future blog posts for a branding blog. 3. Can You Monetize It? Finally, you want to see if your niche is profitable. At the end of the day, most people end up bloggin to earn money, but if you don’t have a niche or you have a niche that no one cares about, you’re not going to earn an income from blogging. Finding out if you can monetize it depends on how popular your niche is and how helpful you are. 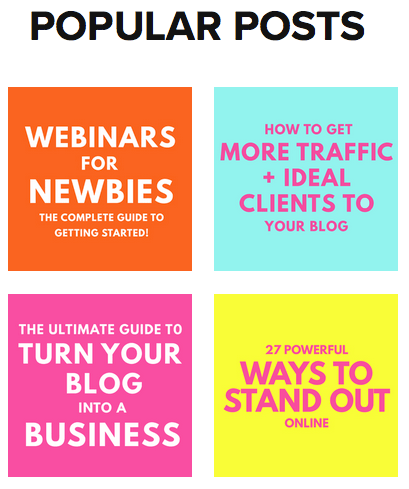 Look at your competition to gauge whether or not you can profit from your blog. Just remember though, don’t start a blog simply to make money. Start a blog out of the desire and passion first. I hope you’re still excited about starting a blog! Finding a niche isn’t that hard once you answer those three critical questions. 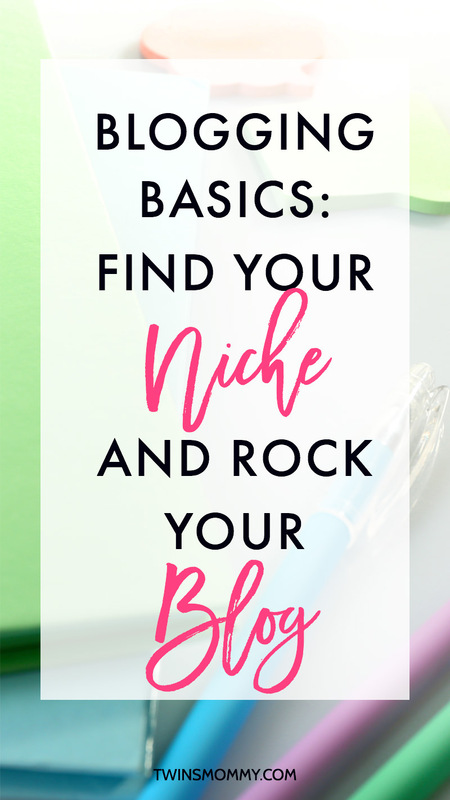 And when you niche down, you can rock your blog’s socks off! Over to you – how did you find your niche and was it easy? Share your niche story with me! This is the first post in my Blogging Basics series. I’ll be talking about the importance of having a Gravatar next month! Thanks for this post! I am trying to niche down too because I feel like my blog is a bit all over the place. I am gearing towards helping moms thrive, in terms of being less stressed but I also want to touch on creativity and connection. Do you think that would be relevant? Thanks! That’s awesome to hear! I like the idea of helping moms thrive in terms of less stress for sure! 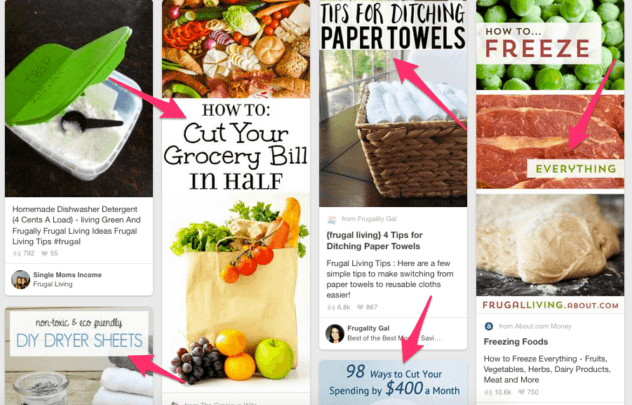 Self-care is a big topic on Pinterest and can help you boost your traffic for sure! Good luck with your new blog niche idea! Hi, I’m Denise and Iam thinking about starting my own blog. I really enjoyed reading your blog. It’s a lot of things that I did not know anything about blogging. Thank you so much for helping moms like me to get the courage to start a blog. And again THANK YOU!!!!! You’re welcome! I’m so happy you have the courage to start a mom blog! I’m here to hold your hand when you’re ready! I’m just reading this for the first time. I think the reason I’m procrastinating starting a blog is because I don’t know what my niche is, like many others. I would consider myself a mom of many trades (I can’t cook at all so count that one out), but I love to help others with homemaking, baby tips, cleaning, refinishing furniture etc etc. My problem is, I can’t think of one that I’m more exceptional at than the other. When I want to learn something, I’ll do it until I’ve mastered it. What would you suggest in this case? Should I start a blog just revolving around lifestyle in general? Or maybe stick to more series type posts where I focus on one aspect for a while then move on? Thanks for coming over my blog! I would love to help. 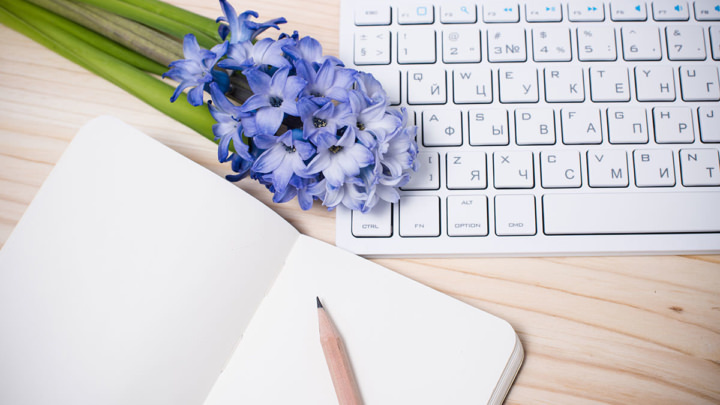 You have some great blog ideas for your new blog! What I suggest is blog about all those blog topic ideas. After a while you’ll notice which posts bring the most traffic and comments. From there you can tailor your content for those people – your audience! That’s what I’m doing over at Smart Mom Ideas. I blog about a whole bunch of things 🙂 Lifestyle blogs work! I loved this post. A huge problem of mine is that I feel like since I’ve launched my blog, I’ve just been all over the place. But I will say that, similar to you, once I started writing my niche kind of naturally came to me as my writing evolved into one central topic. With that being said, what do you think about millennial lifestyle advice and personal growth? That’s where I’m headed right now but I wanted your opinion on if it’s focused enough. I love writing about topics relevant to millennials — things we deal with in our everyday lives and tips to help make peoples’ lives easier. I’m also very passionate about personal growth and topics such as organization, goal-setting, productivity, maximizing potential, etc. so over time, it seemed like that became my niche. As I read along, it seems to align with everything you talked about in your post which gave me a huge boost of confidence. Thanks for the super informative post (as always)! Thank you so much for your comment! I love hearing from my readers! I think your niche is narrow enough. I write for a demographic niche and it hasn’t hurt me with traffic, building a readership and sales! Good luck! Hi Elna, the problem I have is: is my niche too-niche? I started my niche on the subject of dancing and all its benefits aimed at hobby dancers, not dance moms or their kids. Is that too niche? Does it have potential to attract enough people? Your niche is hobby dancers and that’s fine. It’s a big niche so I wouldn’t worry! Thanks for your insights about niche marketing and how to find the best one. This is a topic that most bloggers struggle with or simply don’t do this step. The most important to me is figuring out if there a need for a niche. It takes some research to figure it out but it’s well worth it before embarking on a lot of hard work. faith and homesteading. BUT , I get the most traffic in my blogging area. I am thinking of getting rid of the faith topic (since im not a pro at the bible etc.) and try to keep blogging about family/parenting and homesteading/gardening, def. keep blogging topic. What do you think about lifestyle blogging with Moms in mind? Subjects like parties, crafting, parenting, homemaking, organization, trips to disney, cooking, homeschooling, mama blogging (entrepreneur-ing), printables, cool things to do with girlfriends, marriage, beauty reviews and cute outfits. This is probably the exact opposite of what your saying on this post, but it’s so hard to choose just one! I want to encourage mamas to pursue all the aspects of being a beautiful and fulfilled woman and mom. Like inspire her to make her home and family her work of art and also inspire her to fulfil potential in all the other areas of her heart. Do you think those multi-subject blogs are less likely to go big, or is there a way to pick a few topics that flow better together all for the same reader? And let me just throw this out there; is it better to start two blogs if you just can’t choose? Thanks in advance! You’re welcome. Yeah, finding your niche is a process. When I started Twins Mommy, I started writing to work at home moms. But this soon turned to mom bloggers interested in starting a business. So, your niche can change and it should! You hit on a common problem here: people struggle with if they really need to pick a niche, or if doing so will limit them. I think it comes down to this, most people focus on niches in this way: Personal Finance, Writing, Parenting, Self Development … or sub-activities within these main activities, such as Curing Procrastination or Writing Novels. These are little more than Categories. What talking to readers highlights to me is that it’s trying to fit into one of these categories is a big cause of their struggle. They struggle to fit because they feel they don’t just fit into one but two, or three. Or maybe what they want to blog about straddles several categories and squeezing into a traditional single niche won’t work for them. Not being able to choose one category out of several possible choices, keeps them from moving forward and holds them back. People tell me that this is their major reason for thinking they’ll never be able to blog successfully. Or make any income online. Choosing a niche because some statistics make a Category look like it will be profitable, or focusing on what drives your passion, can – and does – work for some people. The emphasis here being “for some people”. But it leaves a lot of people, especially, beginner bloggers or those of us who’ve blogs have failed to make it, struggling to find a niche. Keywords and SEO didn’t work for me in helping me find my niche and it doesn’t work for a lot of other people either as my readers tell me. What works best is looking for people who are going through what you went through when you struggled with a problem you can solve, then solving it for them. Thanks Elna, enjoyed this topic is close to my heart and I love this post. Thanks for your insight into blogging and finding your niche. It is a struggle for many of us. You know, when I first started this blog my intentions was to blog about being a mom to twins and the struggles I faced working from home as a freelance writer. But, as I blogged more and more, I realized I wanted to try growing this blog. I wanted to find out if all my digital marketing strategies I did for my course and for my clients can be done with my own blog. I am in love with your site. So much great information. I am working on my site, which I plan on posting live I August. My “niche” is still unclear. I am passionate about promoting change in women’s lives. But I also will be posting recipes. My site will be mostly geared towards stay at home moms. Is there such thing as a niche like “empowerment/change” or does this just fall into lifestyle? Any tips or feedback will be greatly appreciated. Thank you. How exciting! Can’t wait to see your blog up and running. Your niche might fit well with self-development. Empowerment, motivation, productivity all fit in that niche. As for recipes, not sure if that really fits? If you really want to niche down, then pick something like self-development where you can talk about many core topics. Yes, that sounds about right. Not sure how to make the recipes fit, except with the “latina” side of things. Most of my recipes will be Latin dishes. So hopefully that sets me apart, and helps with page views. Re-branding is a good thing since you’re getting close to your niche and what you want for your blog! Congrats on finished week one of your blog! What a useful, useful post! I think I will save it for future reading. Thank you very much. Thanks so much! Glad to help. awesome post! I always struggle with this one! Hey Tianna! Doesn’t everyone? Finding a niche and then sticking to it is super hard! Hopefully it’s a bit easier with the questions I came up with. HI Elna! I would love to be able to “BLOG” however like another lady said my a.d.d. gets in my way and I become overwhelmed easily. I worked with children as a preschool teacher for 15+ yrs and that is where my heart and passion lies however my physical being can’t do that anymore lol so since then I have taken up photography which I also love! I also have a way of helping others always have. Whether it helps them come up with ways to deal with their issues or just being a sounding board. I love helping others so i’m not sure how that would fit into a “niche”? I need your help Elna!!!! Thanks for stopping by. Yes the ADD syndrome gets the best of us eh? 🙂 You might want to blog about photography since you enjoy it so much. You can talk about how to take photos, best lighting, black and white, styling photos, taking photos of objects, food etc.. Then you can offer a freebie (your lead magnet) of some free stock photos since EVERYONE loves free photos! Passed this along! Good stuff! Well women issues and relationships all fall under being a modern gal? Love your blog and wish I had more time to read it! I am lucky – early on, I figured out what my niche is and it’s since exploded for me!! I love love love having a focus! If I didn’t have one, I would lose motivation to keep blogging! You’ve done great in your health food niche for sure 🙂 Love how you incorporated video too.